On Saturday mornings Mr. goes to one of his business school classes, and B and I hang out at the apartment together and clean. 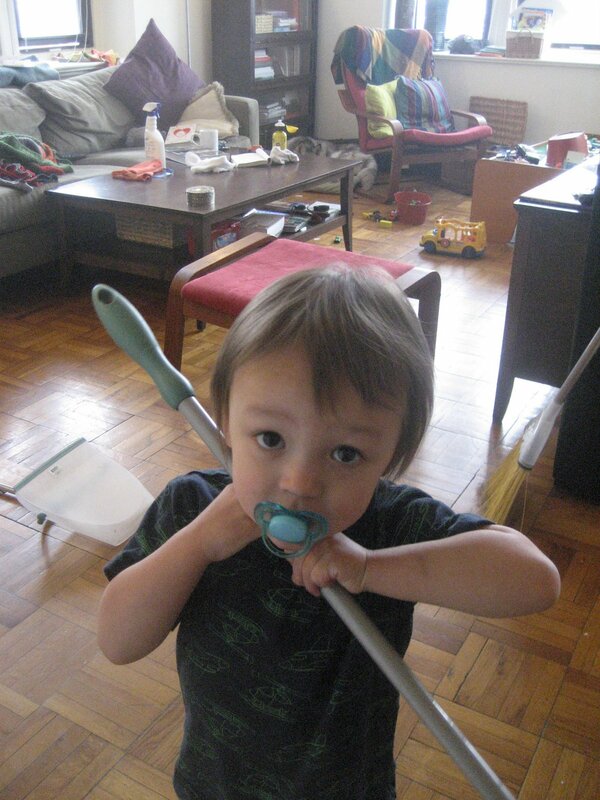 We vacuum and dust, and he begs to use the Swiffer. I tell him, “Oh, I don’t know, buddy. This is a big job…” Heh heh. 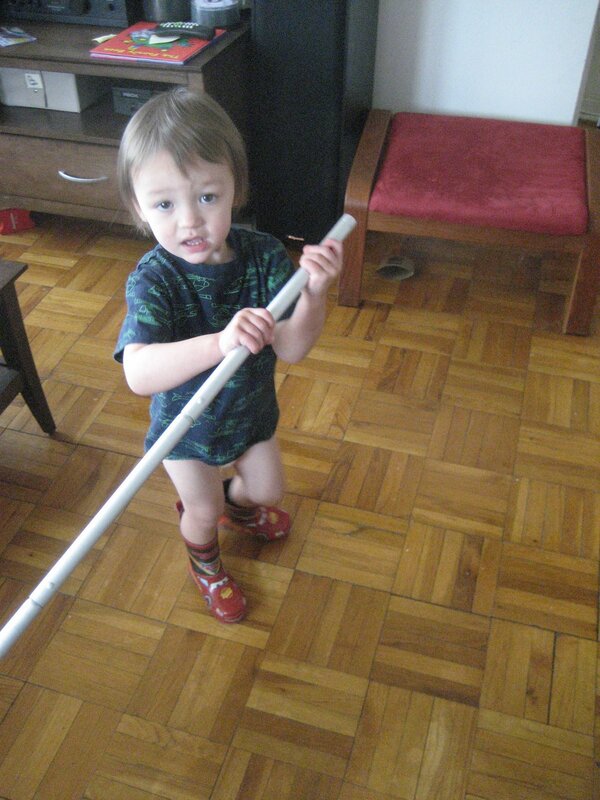 If he had pockets he’d have emptied them to pay for the privilege of cleaning the floors.